HomeCandy & Snacks M&m Coconut Chocolate 24 Ct.
M&m Coconut Chocolate 24 Ct. If you love chocolate with coconut,you should try M&M 24 CT COCONUT CHOCOLATE. Coconut M&M’s taste like you cracked open a fresh coconut, chiseled away the shell, shredded the meat, and dipped it in creamy milk chocolate. Coconut M&M’s are just about the yummiest treat you can possibly snack on. These candies are absolutely divine and one nearly anyone will be charmed by. They are certified kosher and perfect for handing out for family movie night or to fill holiday stockings with. 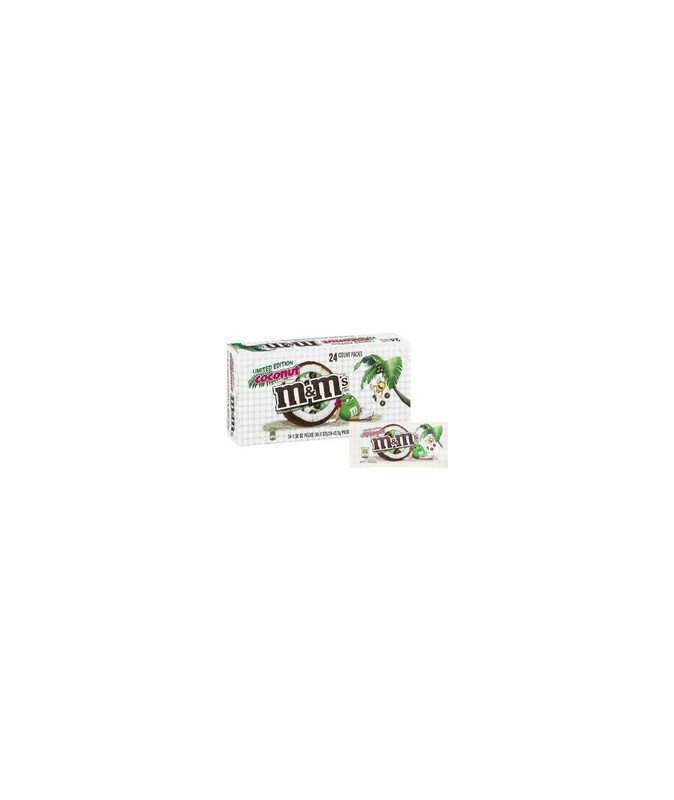 you can buy M&M 24 CT COCONUT CHOCOLATE in bulk at a wholesale price at Volt Candy Online. 1 review for M&m Coconut Chocolate 24 Ct. I thought i never had a good candy taste until i came across this candy.